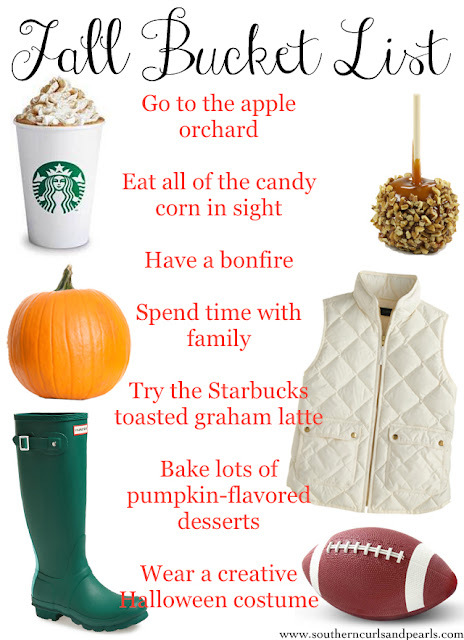 Happy fall everyone!! This outfit is basically my uniform for the season. I love how a plaid button-up tucked into jeans with booties is so easy yet polished. 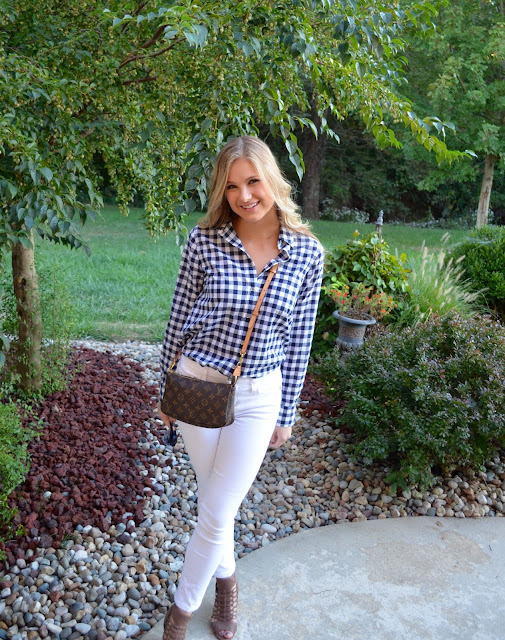 Since the sunny, summer weather is still sticking around in Illinois, I opted for white jeans paired with dark brown accessories for the perfect transitional weather look. What is your go-to fall outfit? Also, I was inspired by one of my favorite bloggers, Southern Curls & Pearls, to create a fall bucket list! She made this adorable template, which you can download here. Happy September everyone! This is an exciting post because it is my first fall fashion look and it is the debut of my new blog design courtesy of 17th Avenue Designs! 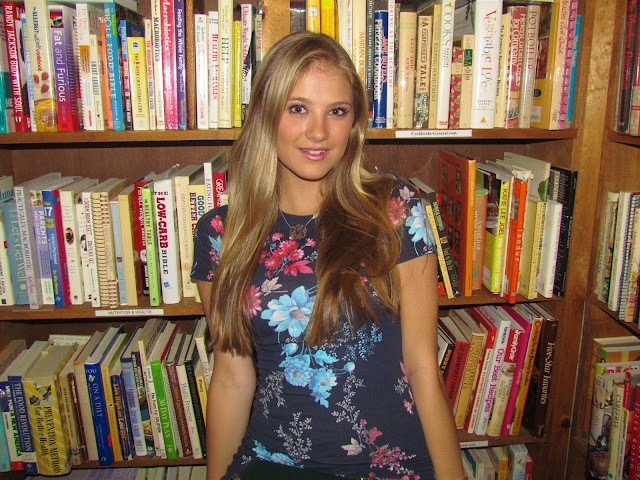 My friend Elise took my pictures and we had so much fun exploring and shooting in a used bookstore. One of my favorite ways to transition from warm weather to cold weather is with a floral dress paired with fall accessories like the deep green bag and strappy taupe wedges shown above. While florals may seem summery, this dress transitions perfectly because of its deep navy and magenta colors. For more early fall inspo, check out the items below! 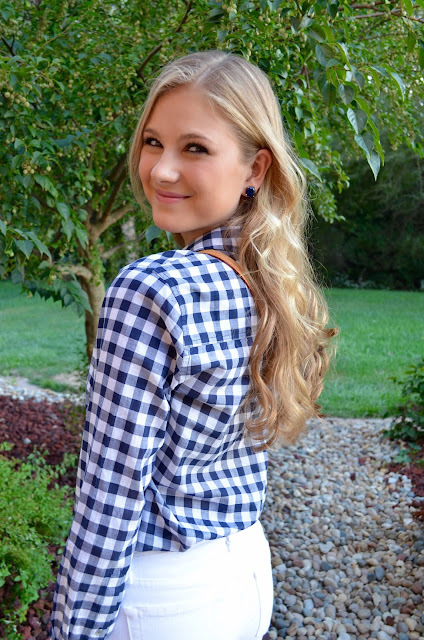 I may be back at school but I am still holding onto summer with this fun outfit! I love this patterned dress because it is so versatile. Earlier in the day, I wore it with slip-on sneakers and minimal jewelry to class. Later, I piled on some jewelry, a statement bag and espadrille wedges to make the dress transition into a night-out look. 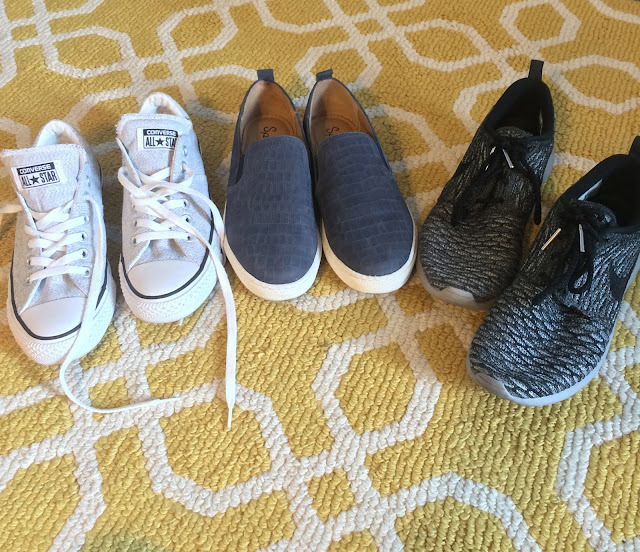 I walk to all of my classes so these sneakers keep me comfortable but stylish. Plus, the grey, navy and black colors go with everything! 3. And last but not least, a perfectly coordinated room with my BFF! Be on the lookout for new outfit posts and fall fashion inspo soon!